New Red Band Cop Out Trailer! 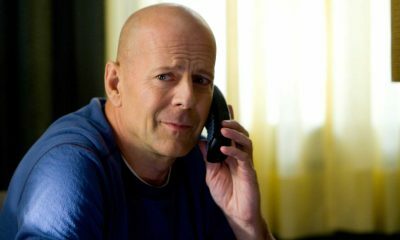 Here’s the new red band trailer for Bruce Willis‘ latest movie, Cop Out. Also starring Tracy Morgan, Jason Lee, Michelle Trachtenberg, Adam Brody, Seann William Scott, Kevin Pollak and Mark Consuelos. Two longtime NYPD partners on the trail of a stolen, rare, mint-condition baseball card find themselves up against a merciless, memorabilia-obsessed gangster. Jimmy (Bruce Willis) is the veteran detective whose missing collectible is his only hope to pay for his daughter’s upcoming wedding, and Paul (Tracy Morgan) is his “partner-against-crime” whose preoccupation with his wife’s alleged infidelity makes it hard for him to keep his eye on the ball. 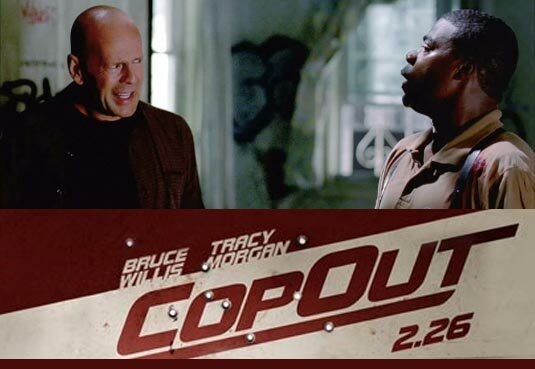 Cop Out, directed by Kevin Smith, is slated to release on February 26th 2010. Check out the trailer below and be sure to let us know what you think.